Sarah Myerscough Gallery has announced that it’ll be showing London’s Story, a new body of works by British painter Jenny Pockley. The show, consisting of large scale oil paintings based on contemporary and historic images of London, is to run from 24 September to 14 October. For this widely anticipated solo exhibition at the gallery, the artist continues to explore the landscape of the metropolis as she sublimates the busy and constantly shifting capital into a silent and timeless icon. 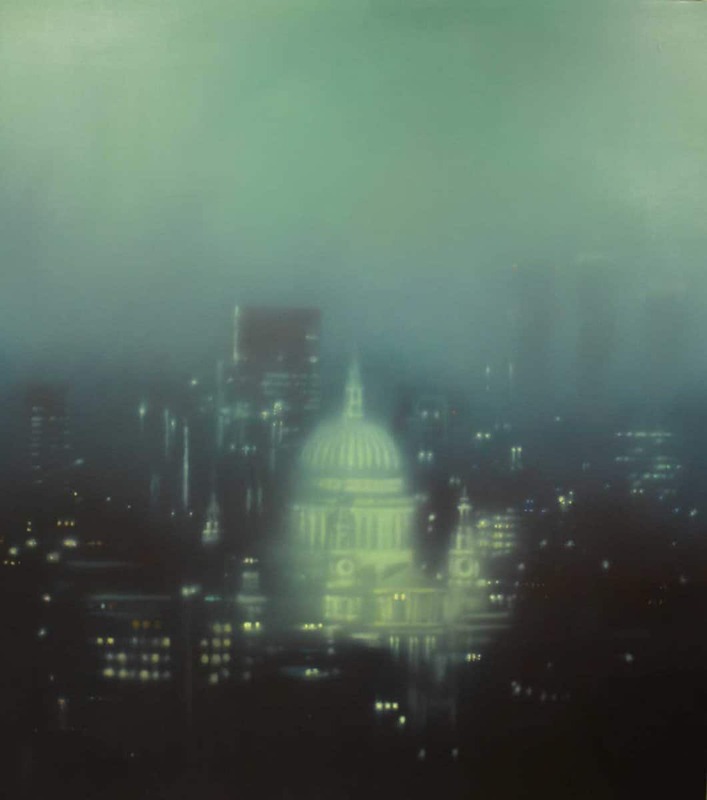 Working with vaporous layers of oil colour on gesso, Copper or Carborundum, Pockley creates her signature hazy dreamlike cityscapes; the luminous representations of London show the artist’s remarkable yet effortless mastering of subtle tonal contrasts reminiscent of Rothko or Monet. With this new series of paintings, she not only worked from photographs taken during her regular helicopter trips over the city but she also researched into the capital’s visual archive. 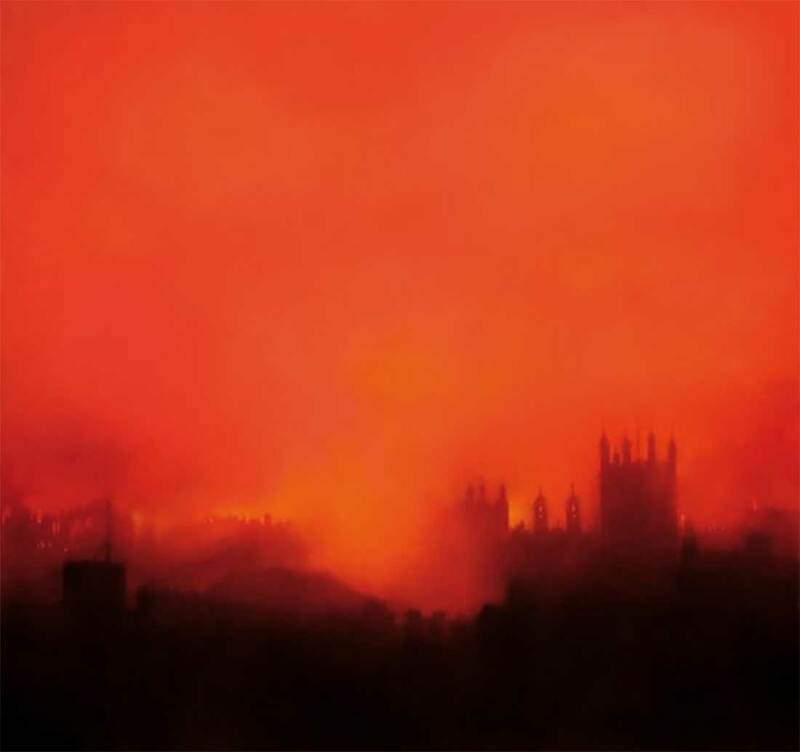 In particular, she has found inspiration in images of London under the 1940/1941 Blitz: Westminster disappearing behind the smoke of bombed out buildings or the silhouette of Tower Bridge standing out against a fire echoing Turner’s reportage of the burning of Parliament. 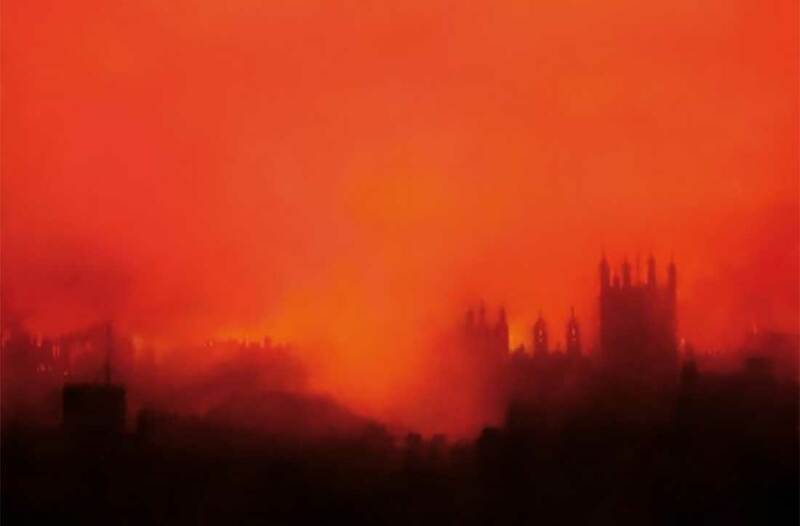 Yet, by focusing on the capital’s landmark buildings and by highlighting the core architectural structure of the city organically built around the river Thames, Jenny Pockley depicts contemporary and past London from various perspectives and view points in such a way that, the different juxtaposed urban landscapes merge into one, as fog and smoke amalgamate. Time is brought to a stand still on her canvases, history condensed into paint. The artist offers us a timeless and ethereal representation of the capital that transcends the dramatic changes endured and reveals the core essence that is London’s Story. Learn more on the Sarah Myerscough Gallery website. Previous Previous post: What type of freelancer are you?